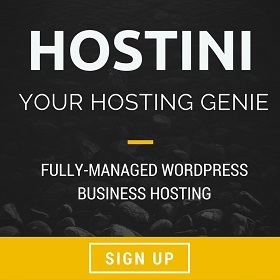 Discover the best places to host your WordPress business website. Website hosting for your business is important because, let’s face it, it’s your business’s reputation! If your website goes down for any amount of time (or is hacked) then your reputation is on. the. line. So, who do you go with? Googling the best web hosting company for a business website using WordPress is going to bring up A LOT of choice, right? It’s confusing and annoying to know who to trust, how to configure it and what you actually need. I mean, who the heck knows how much RAM I’d need for my website, or whether ‘unlimited’ is truly unlimited? (secret: it never is). Let’s clear things up then. You could always go to WordPress.org’s hosting page (your website is built with the software downloadable from that website), but it doesn’t look too interesting when we see Bluehost up at the top there (scroll down for our impression of EIG hosts, which BH belongs to; it isn’t great). Then there are the big mammoths of Godaddy (urgh) and 1and1, which just aren’t going to be great for your WP website. They offer a lovely confusing pricing model, but their servers are funky and lots of times packed with thousands of other users on them (that isn’t a great scenario for a professional impression of your business & brand). Between the both of us, we’ve used A LOT of hosting companies across the world to place WordPress websites on. Here is a list of web hosting companies we tend to avoid. Dreamhost (support isn’t great for WordPress issues). So, Who Would We Choose? Well, we’ve got 3 choices for you right here. We’ve used them and trust them, and if things change then I’m going to be right back here and editing a company out (or in). There’s no point recommending someone if they grow too big or get bought out by a large company that lower support costs and wants scale rather than quality (just like what happened to Bluehost et al. that are part of Endurance International Group). And yes, we will receive a commission if you click through and buy from any of these companies, but these companies don’t offer the hugest payouts in the hosting industry, so we’re not recommending them to you to ‘make a quick buck’. They’re our top choice as an all-round great hosting company. Their support is quick and they’re responsive to issues that you do have. Some people have commented that when a site uses a lot of resources on their shared hosting (StartUp, GrowBig, GoGeek) then there can be some issues. What we’ve found is that when you do go over a certain number of visitors (1,000 a day), if you don’t have caching enabled & everything optimized then there are going to be issues (just like every other hosting company in the world). This is normal. We recommend choosing the GrowBig option when creating a business WordPress website. Want a step-by-step guide? Click here to view it. Are highly recommended and their support is advanced. They have a choice of datacentre locations too, so if your customers aren’t located in the USA then you will want to choose an option that is best for you. 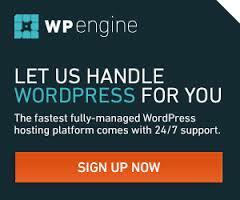 WPEngine have a team of WordPress experts who can work with you to solve any issues you may have with your website, but they don’t allow the hosting of email on their servers (which is a good thing and one we recommend to not do too). If you’re looking for a tried & tested hosting company in the WP business space then WPEngine is the right choice. A little more than a web hosting company. They are a fully-managed WordPress hosting company and that’s reflective in their pricing (it isn’t for the faint hearted), but if you want your website taken care of like you’re a person in a small group of others (not number 352 of 3,000) then we’d recommend them. They’ll sort out a lot of caching and optimization issues for you straight as soon as you sign up, and they have servers located in different parts of the world. Flywheel: hugely recommended by a lot of people and they have datacentres in different parts of the world, but they’re not much different to WP Engine from our point of view. But, they only have support M-F, 9-5 mountain time. HawkHost: Fast servers in the US that don’t tend to get over-run and support times are okay. A secondary to Siteground. Rochen: Their servers are good and fast, but if you have a site with more than 1,000 visits a day then don’t use them. It just won’t cope on the shared environment (use the coupon GAVICKPRO for a discount). Perhaps you need some more help decided which host you should choose. Great, then we can help. Head over to our contact page and send us a message.